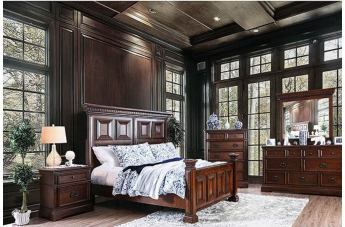 A gorgeous wooden construction with decorative wood carving designs give this bedroom set a sophisticated air. 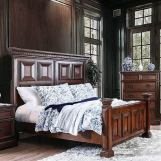 The headboard combines an intricate trim, large carved panels and solid posts finials to create a bold appearance. 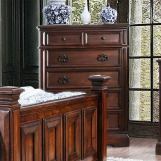 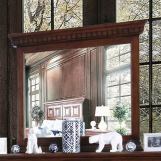 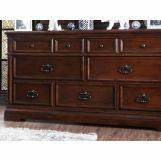 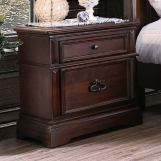 The matching case goods are sophisticated with a simple trim and antique style drawer pulls to complete the ensemble.